Thought that it might be the right time to create this thread, since we're already going through Season 2, so if anyone wants to discuss the state of this franchise, then please do, by all means. 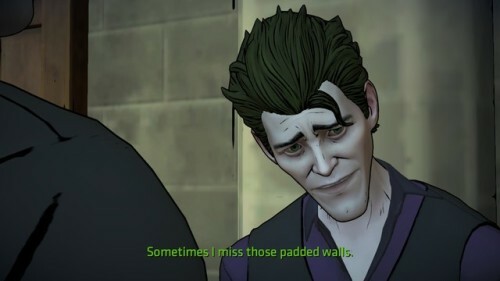 Without delving into any spoilers or anything like that, I must say Ep3 was a little bit underwhelming compared to the previous one, but at least some of the Joker scenes (and Ingruber's performance) were entertaining enough. But I like quite a lot of things about this Universe, especially Season one with its unusual treatment of Vicki Vale & other characters in Batman Myhtology. https://www.youtube.com/watch?v=6WST31Xeof0 - trailer for episode 4 is up. It's going to be interesting to see where they go with this one. Just finished playing Episode 4. I am really digging Anthony Ingruber's portrayal of the Clown Prince of Crime. Overall, had a blast going through this one and making interesting choices.